R.A.D. Sports is a family-owned business that specializes in the construction of high-quality athletic and recreation facilities. 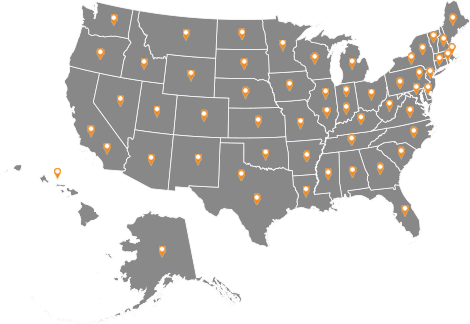 R.A.D.’s projects are located throughout New England and the Mid-Atlantic regions. Since 1994, R.A.D. Sports has grown to be one of the most trusted and successful athletic and recreation facility contractors in the industry. Rob and Derek Delmonico, owners of R.A.D. Sports, provide hands-on management of each project. They bring a solid foundation of knowledge and experience to each project and have dedicated themselves to building a company with the finest reputation in the industry. R.A.D. Sports is a full-service construction company that offers its clients a single-source for all their project needs. From Master Planning through ribbon-cutting, R.A.D. has the in-house staff to complete all the tasks associated with the planning, permitting, design and construction of high-end, state-of-the-art athletic and recreation facilities. With a proven record of reliability, R.A.D. has projects that are consistently completed on time and on budget. R.A.D. has completed over 200 projects in 22 years. R.A.D. is extremely proud of their quality of work and have a long list of award-winning projects. Potential customers are encouraged to ask around because R.A.D has a reputation that is second-to-none. Through over two decades of experience, R.A.D. knows the importance of listening to customers to meet their needs and is able to meet customer expectations on all projects. R.A.D. utilizes the best equipment in the industry. Their laser graders and other earth-moving equipment exceed industry standards . R.A.D. is an active member of the American Sports Builder’s Association (ASBA) and their projects are consistent winners of annual ASBA Facility Awards for their quality of construction. Rob and Derek are both ASBA Certified Field Builders. R.A.D. takes pride in working only with well established, best suppliers and subcontractors. That is a major reason they have chosen to partner with Shaw Sports Turf.